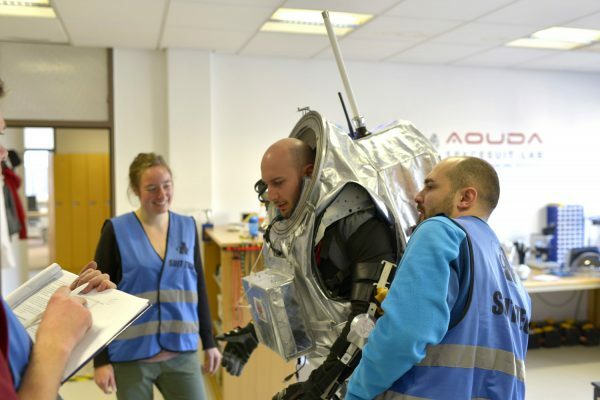 Posted by OeWF in Aouda Spacesuit Simulator, Guest blogs, OeWF News. I learned about the OeWF in a lecture about Mars held by Gernot Groemer at the University of Innsbruck. When the time came to find a project for the bachelor thesis for my mechatronics program, I remembered Dr. Groemer mentioning the possibility of working with the OeWF. After learning about my specialization in biomedical technologies, Dr. Groemer suggested something quite fitting: Measuring the characteristics of Aouda’s exoskeleton. My time with the OeWF started with a workshop in which I learned about the basics, history and current projects of space suit design. After that, I read up on what it was that I should be measuring precisely. Everybody who spent time in cold climates knows that multiple layers of thick clothing make moving around a little bit more exhausting. Astronauts have an even more difficult time doing so in their stiff space suits. 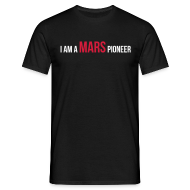 But the protective layers are not the biggest offenders when it comes to making well trained astronauts sweat. Suits for space walks, also called Extravehicular-Activities (EVA), are pressurized and internal gas works against the deformation necessary for movement. Aouda is unpressurized and does not affect analog astronauts in the same way as an operational suit would. But simulating this effect is important because comparable results of field tests depend on the correct exhaustion level of analog astronauts. Therefore, an exoskeleton based on rubber bands and springs was made which works against astronaut’s movements. My task is to measure how well this exoskeleton adds stiffness to Aouda so she offers a similar experience to pressurized space suits like the Extravehicular Mobility Unit, one of the two suits used for EVAs on the International Space Station. For now, I limited myself to the elbow joint. My setup mainly consists of an artificial arm out of wood and foam and two sensors. This arm is inserted into Aouda and the exoskeleton for stability. During measurements, the upper arm will be fixated to a table, while the lower arm can move around freely. An angular sensor is positioned in the arm’s joint to continuously measure the angle between the upper and the lower arm. The operator pushes and pulls the lower arm with a force sensor. This way, we receive the additional energy required to move in the exoskeleton as a function of angle. So far I’ve completed Spartan but fully functional software for data acquisition and processing. Mechanical components progressed nicely and tests suggest that the concept will work. Now I have to complete work on the electronics and calibrate the system. We plan to use my testing device for the first time in the upcoming Aouda test campaign. 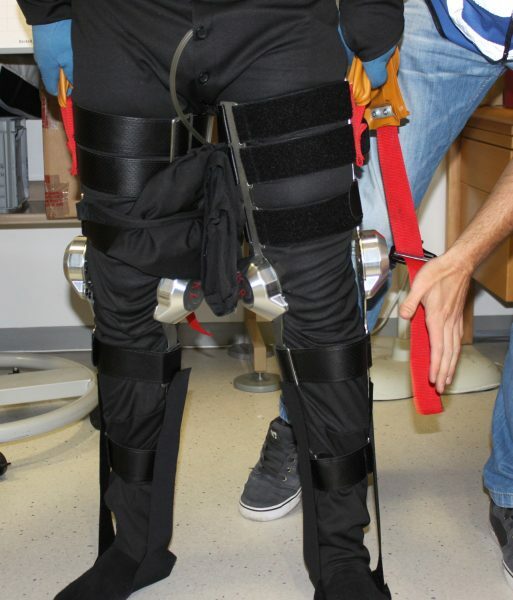 Based on the results of these tests, the team behind the exoskeleton can then make adjustments if necessary to better simulate operational suits. Wearing the Aouda.X is Hard Work!